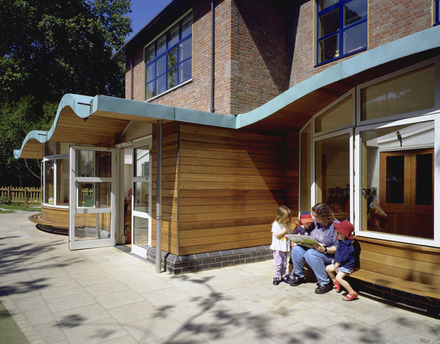 The refurbishment of a 1930s preschool centre owned by the Thomas Coram Foundation in Coram Fields, London. All main spaces are naturally ventilated and the building was completely reserviced as part of a refurbishment programme completed in 1999. Coram is one of England’s more remarkable organisations. It is not only one of the country’s oldest charitable institutions but is also believed to have been the first to specifically cater to the needs of children. 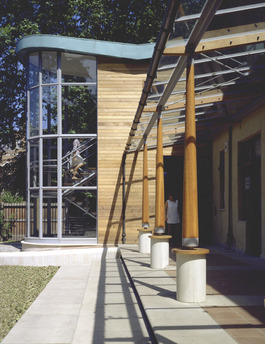 The once decrepit building shell was retained, insulated and refurbished, reglazed, and extended to provide facilities for a number of different childcare and daycare centres serving the Camden and Kings Cross areas. 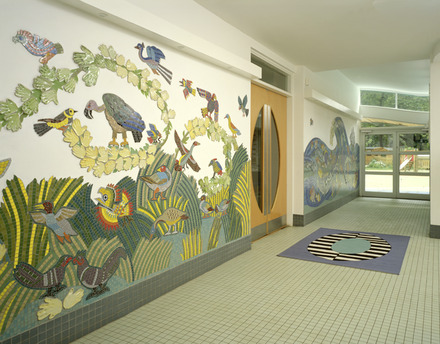 The building houses the children’s facilities on the ground floor and the offices of the Foundation on the upper level. 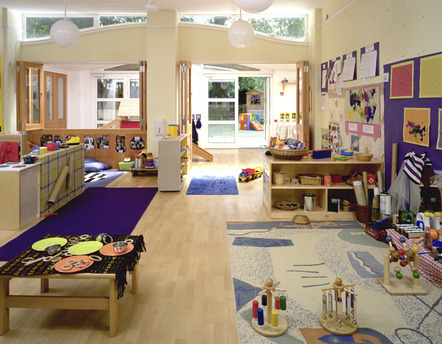 All main spaces are naturally ventilated and the building was completely re-serviced as part of the refurbishment.